California Health and Human Services Secretary Michael Wilkening writes: "Our work at CHHS is a proof of concept, designed to illustrate how government can be more transparent, responsive and client-centered. I would argue that this has been a successful proof of concept, but it also has presented lessons learned." As I reflect on our experience at the California Health and Human Services Agency (CHHS), I see our work over the course of the past few years as a proof of concept for how government must adapt in order to meet the needs of the individuals it serves. I think it is important for us to remember that government does not exist, and we do not have jobs as public servants, because of programs. Rather, we are here to provide services to Californians who are in need of them. It must be our mission to provide those services in an efficient, effective, and respectful manner in order to make it easier for recipients to apply, understand what benefits they are entitled to and where they can be used. At CHHS, this began with the Open Data Portal, which at the time I viewed as an entry point, a relatively low-cost, low-risk way to start talking about how an organization shared and used its data. Open data has broadened our relationships and interactions with counties and federal agencies, and it has opened relationships with researchers from across the state. It has also provided the common ground for thoughtful engagement with external partners to support our goals and objectives. We are more open to risks and opportunities given the foundation we’ve built with open data investments. The Open Data Portal led us to establish a governance structure in which all 12 of our departments and five offices participate. Governance is composed of subcommittees that focus on specific areas, such as innovation, communications, data, and risk management. Governance routinizes these new approaches, expands the number of people involved, and values ideas over positions and titles. Most importantly, governance provides the structure to sustain our efforts into perpetuity, but also gives us the platform to approach issues differently. As a result of our work on the Open Data Portal and the governance structure, we also started looking internally at the data we have and how to turn that into useful information. We started with a Data Exchange Agreement between all our departments and offices, which provides the underlying framework for sharing data. The agreement sent the message that not only can we share data, but we should also share data for the benefit of our clients. To that end, we partnered with a researcher from the University of Southern California to produce data linkages between our largest programs so that we know how many clients are receiving benefits under one, two or more of our programs. These insights allow us to more effectively structure our enrollment and operations of these programs. In addition to the Data Exchange Agreement, we have developed an Information Strategic Plan, a Master Data Management Strategy, Data De-Identification Guidelines and a Data Playbook to expand internal uses of data while improving the delivery of our programs and services. These collective efforts provided a foundation for us to rethink how we procured the replacement of a Child Welfare System. In November 2015, we were getting ready to release a 1,500-page RFP; this was going to be a seven- to eight-year effort and would cost in excess of $500 million. The Government Operations Agency secretary and I were approached by Code for America and the former chief technology officer of the United States to discuss why the waterfall approach we were envisioning would be a failure. In a month, we pivoted to an agile, modular approach to replace this critical system. Shifting to an agile approach has allowed us to take risks, learn from any failures, and deliver a product that is informed by and works for the end users. Part of this pivot is recognizing the inherent risk of the status quo. In explaining the switch to a group of vendors, I described what I knew of the result we would have gotten from the RFP we were going to put out — we estimated it would cost $500 million, it would cost more; we said it would take seven to eight years, it would take longer; and, at the end, we would not like the system we were delivered. Sadly, we would have termed that a success. When you cannot fail (and on a $500 million procurement, you cannot fail), the definition of success becomes unrecognizable. While these efforts could be seen as individual and unlinked, the common theme is that each of these efforts is an attempt to refocus us on the end users, whether clients or staff. In tandem, these efforts are moving CHHS from a department- or program-centered agency to a client-centered agency. We were able to make progress on these efforts because of a few key factors, which are contributing to a culture change within our organization. First, the size and diversity of CHHS gave us an opportunity to leverage talent, funds and processes to not only take different approaches, but envision a new way in which we deliver programs and services. We also learned quickly that our staff embraced the idea of client-centeredness. We simply did a poor job in creating physical and virtual environments for our staff to think differently about how they administer their programs. After all, they are closest to these programs and are best positioned to tell us how we can improve them. Second, the environment outside of government was, and continues to be, changing at a rapid pace. For example, the passage and implementation of the federal Patient Protection and Affordable Care Act not only expanded the number of individuals accessing health insurance coverage, but also drastically reformed the health-care delivery and payment systems. This has been the driving force in health-care innovation over the course of the past 10 years. These reforms also increased the realization of the impact the human services and public health systems have on an individual’s health and well-being. Third, we had a number of philanthropic partners, including the California Health Care Foundation, The California Endowment, and Blue Shield of California Foundation, who not only pushed our thinking on some of these topics, but also invested significant resources to help us make incremental progress. We are now at a place where this work continues to be refined and we continue to iterate on these various efforts in order to improve them and learn from them. Our staff are thinking outside the box, asking to engage in different initiatives, and are focusing their work on how to best serve our clients. As I have referenced before, our work at CHHS is a proof of concept, designed to illustrate how government can be more transparent, responsive and client-centered. I would argue that this has been a successful proof of concept, but it also has presented lessons learned. Leadership and early buy-in is important. Leadership engagement is what drives and prioritizes this work, but in order for this to be sustainable, it must not be dependent on any single leader or group of leaders. It is therefore important to gain support and buy-in from leaders at different levels of the organization, especially middle managers, so they can influence the process and be prepared for questions they may receive from their employees. Finally, engagement of staff across the organization, not only leadership and managers, is critical because it allows for a consensus process that enables staff to further engage and drive the culture change. The message must be simple and delivered repeatedly. How you frame this work is critical because it needs to demonstrate value and illustrate results. It is easy to talk about new ideas; however, delivering on these ideas is perhaps a different proposition. It is therefore important to illustrate to staff how this will not only help further their work, but also demonstrate to them concrete and real results that yield positive outcomes. Remember to under-promise, and over-deliver. This will increase engagement and further trust among staff and managers. It is equally important to deliver the same message in different forums and on multiple occasions so that staff can absorb it and understand how it aligns with the organization’s mission and vision. Culture change is difficult and it takes time. Our progress at CHHS did not happen overnight; it took us years. It is also important to recognize that there always will be resistance; this is human nature. It is therefore important to illustrate the value of this work and show progress so that this is not just an empty idea, but a series of concrete outcomes that reinforce change. You need to create an environment that recognizes the inherent risk of the status quo and encourages taking calculated risks to innovate and improve. You must recognize that you will fail, but fail small and fail fast. When you fail, you need to take the time to learn from those failures. Innovation is not just about big ideas that result in large transformations, but perhaps more importantly, it is about small, incremental solutions that make us more efficient and effective. What we have started has unlimited potential. The foundation has been laid and the structure is in place. But to achieve its potential, you need to continue to invest your time and effort. This movement is yours. The ideas come from you. Continue to generate new ideas. Focus on improving the user experience, for clients and staff. Focus on improving the lives of Californians. For more information related to our work, please read remarks Secretary Wilkening provided on digital government and culture change. This commentary first appeared on the CHHS website. 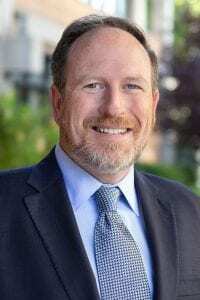 Michael Wilkening was appointed secretary of the California Health and Human Services Agency by Gov. Jerry Brown in 2018. He leads the 12 state departments within the agency including over 30,000 employees and an annual budget of approximately $150 billion. Wilkening led the shift to a new agile procurement process of the Child Welfare System that has become a model for other state departments. In 2018, he was an inaugural winner of the Cliff Allenby Award for excellence in public service. He is a frequent speaker at national health-care, innovation and technology conferences. Michael Wilkening is the Secretary of the California Health and Human Services Agency.